From birth some children are easy going and easily soothed. Others arrive “kicking and screaming,” seemingly demanding we address their needs posthaste. Whatever their dispositions, infants are dependent on adults for nurturance. When someone responds consistently and lovingly to his/her cues, the infant learns that needs will be met and feelings respected. 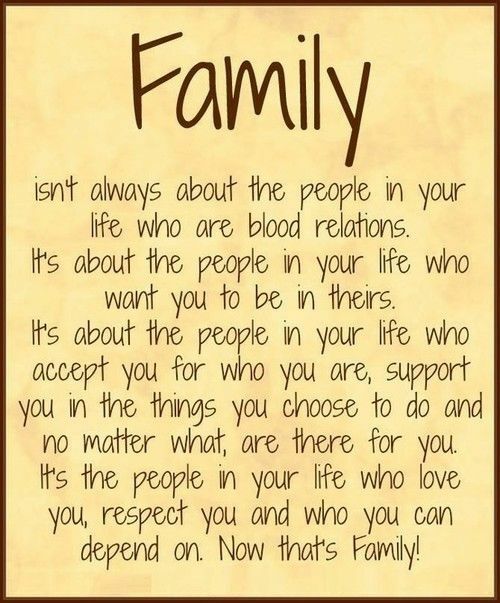 This creates attachment and builds trust, both essential elements in emotional well-being. Sadly many infants are not consistently nurtured, a situation that makes developing healthy relationships with others challenging. And many well nurtured children have disorders that make social interaction difficult. Those with autism spectrum disorders have to learn social skills that come more naturally to others. Making eye contact, learning to interpret facial expressions and body language, and participating in a conversation are challenging and require patient, consistent encouragement from family and friends. Role playing social situations helps build social skills; stories and games can too. 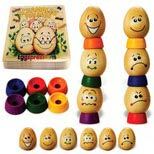 Eggspressions combines a storybook and six expressive wooden eggs to create a role-playing activity that helps children identify six basic feelings, communicate effectively, and collectively solve a problem. By sharing their feelings and working together, players figure out a happy solution to a challenge. Statistics show that 99% of US households own a television; 66% have three or more. I have read that the average American child watches television 1,680 minutes per week. That’s 28 hours a week or an average of four hours each and every day spent watching television. How else might that time be spent? Trade this passive, sedentary activity for something active, engaging and stimulating. Read a book. Paint a picture. Pull out blocks and build whatever comes to mind. Block play is fundamental. Classic wooden blocks in varied shapes and sizes invite play that develops spatial awareness; strengthens eye-hand coordination and motor skills; increases cognitive, language, and mathematical skills, and teaches about balance and gravity. Building enhances creativity, problem solving, collaboration, cooperation, and social skills. Add props and create an imaginative play scenario. Take a walk – rain or shine. Jump rope. Play hide-and-seek. Plant a garden. Bake cookies. Pack a lunch, go to the park, and have a picnic. Play a game. Whether cooperative or competitive, games have rules that everyone must follow. Playing a game well requires mutual respect among participants, understanding and accepting the rules, taking turns, following directions, paying attention, playing fair, and accepting the outcome graciously. Playing well with others takes practice. Let the games begin. what better way to spend our time than playing a game with your family and friends? We at PlayopolisToys value cooperative games that people of different ages and abilities can play together, each making his or her best contribution. We recognize the inherent value of collaboration, cooperation, and inclusion. When we “play well with others” we demonstrate emotional and social maturity. Embrace the benefits of acceptance, inclusion, and participation, of mutual respect and of working together toward a mutual goal. Imagine giving encouragement, receiving support, and feeling safe and trusted in an open, honest environment. Everyone contributes, building confidence and a sense of self-worth. Everyone relaxes, increasing out enjoyment of the game. After all, if what we’re doing isn’t fun, we’re not playing. Joy in the process is a keystone of play.